Description: UML collaboration diagrams are used to explore the dynamic nature of your software. 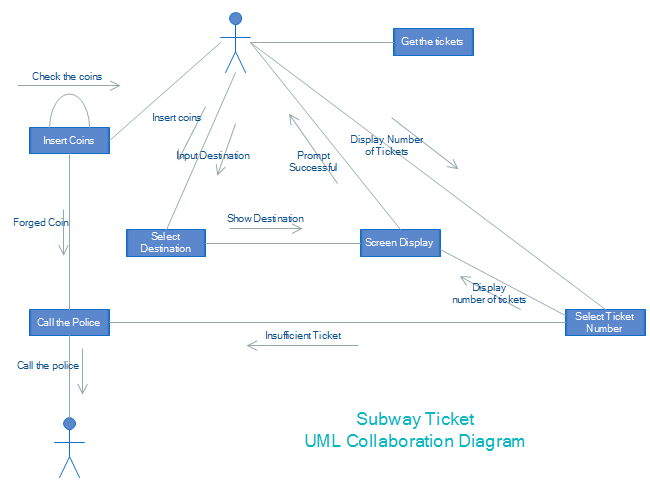 A free customizable ticket uml collaboration diagram template is provided to download and print. This well-created UML collaboration diagram is free to download and available in many formats. Download Edraw and you can see more UML diagram examples.